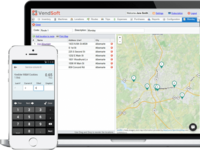 I have been using vendsoft since March of 2017. The software is just what I need! Pros: I like the mobile app that lets me input my sales row by row. The software then keeps track of my sales by each item, cost of goods sold, and overall sales. It makes "prekitting" lists so I know what to stock my truck with. I made a suggestion to Luben about adding a feature that would make entering "Variety Packs" easier -- and he implemented it right away. Entering purchases is a snap! The program lets you enter you various city's tax rates, and then helps you out a great deal at tax time. You can see your inventory report quite easily and also you can view your sales reports with various filters so you can look at it overall, by location, or by machine. It's great! Overall: I run my vending company on this software. It's a total inventory/sales/purchases/and even sales taxes solution. It's quite wonderful. One of the customer representative get back to me with answers to questions very quickly. It's a great program with great customer support. 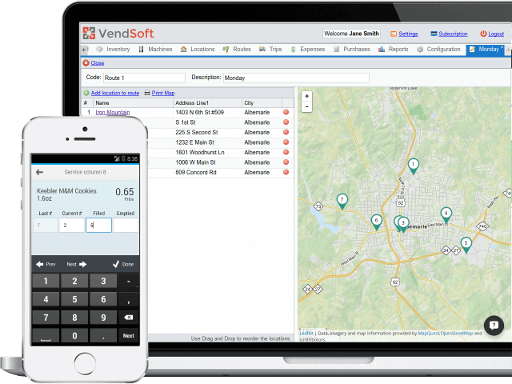 Pros: Vendsoft is a complete solution able to track all aspects of my vending business (Inventory, expenses, purchases, sales, machines, locations,reporting, and trips and servicing). Being able to do everything in one place has saved me countless hours. Cons: While the reports are comprehensive showing you any aspect of your vending business I wish there were better options for seeing the business at an overview on the homepage. Metrics like cash flow and profit and loss for the current month and ytd vs previous year, upcoming service tips, best selling products and inventory at a glance. Overall: I can't begin to describe how indispensable VendSoft is, overnight it removed all my headaches i was experiencing trying to keep track of machines, products purchases, essences, sells, and customers in an overly complicated excel spread sheet. I have been using Vendsoft since Jan 2017. It gets better every week. Cust. Service is Awesome!! Pros: Just about every fascit of this software is great! The reports are informative, The phone app is easy to use. The inventory is simple to set up and a snap to track. Cons: This is a hard question to answer, since Customer service has been very good about addressing any concerns I have had quickly. I guess the app could use a little work on the information given and used. 2 such things: Wish it would show a suggested retail value, possibly a purchase per unit to help with pricing in field. And would like the refunds line to actually be factored into the reports as part of the profit and loss. Overall: Easy tracking and reporting of my business performance.